The Theatre Design Institute is an outreach program of George Fox University that equips high school educators in the areas of design and technical theatre, inspires them to turn their production ideas into reality, and helps them build stronger arts education programs. The Theatre Design Institute partners with the George Fox University School of Education and the Oregon Writing Project, and is approved by the Oregon Teachers and Standards Practices Commission (TSPC). 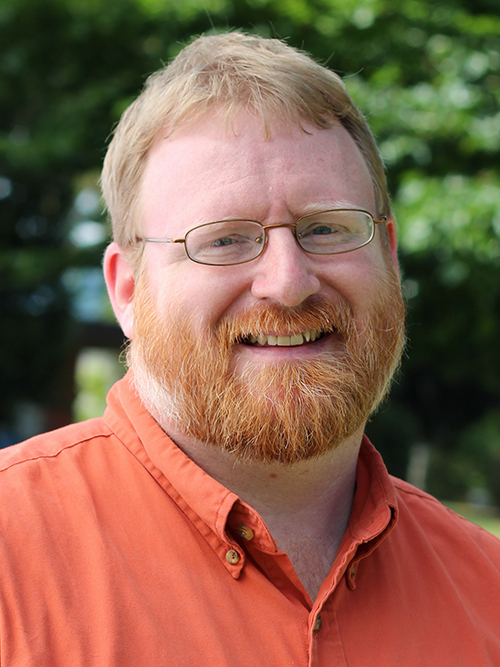 Bryan Boyd is a theatre professor at George Fox University where he runs the design and technical theatre program. His designs for George Fox include scenery, lighting, sound, projections, and masks. Bryan has designed for several professional theaters in the northwest, including Artists Repertory Theatre, Seattle Musical Theatre, Sound Theatre Company, Broadway Rose Theatre Company, Northwest Children’s Theater, and WWU Summer Repertory Theatre. Bryan has an MFA from the University of Portland and has received several awards from the Kennedy Center American College Theatre Festival, including being named one of its 2006 Celebrated Teaching Artists. His portfolio is available at bryanboyddesign.com. Sandra Rocha Kaufman teaches costume design at George Fox University. She made her design debut in Portland Opera’s world premiere of Wuthering Heights. Design assignments with numerous theatre and opera companies include Girl of the Golden West, Lohengrin, A Little Night Music, Rigoletto, Amadeus, and the Magic Flute. During her career, she has designed costumes for more than 50 musicals. Favorites are: The Mikado, Tintypes, Brigadoon, Merry Widow, Hello Dolly, and Into The Woods. Sandra is also a sculptor and can be found selling her work at art shows and markets throughout the Portland area.